We thought we'd give a voice to the voiceless and show you the billboard the New York City transit authority doesn't you to see. Exposing the cruel and dangerous truth about horse-drawn carriages, the public service announcement created by Last Chance for Animals and NYClass was rejected by the Metropolitan Transit Authority on shaky grounds. 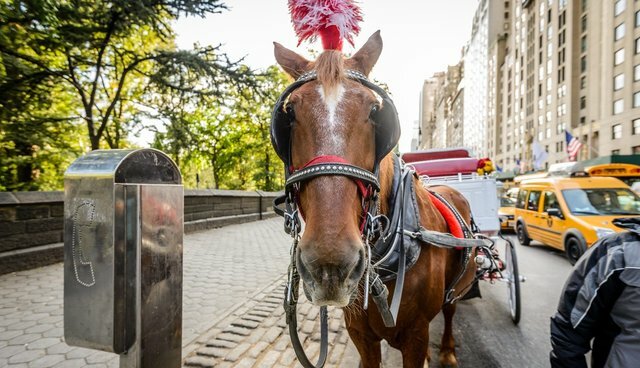 Horse advocates at these animal rights orgs are now battling for their constitutional right to free speech, so that the public can see just how dangerous horse carriages are for horses and humans. NYC's Metropolitan Transit Authority has guidelines barring all political advertising, but LCA insists that the banned ad is not political, but educational. The ad informs the public about the real dangers of the iconic horse carriages, with statistics to boot. On top of that, LCA already has an ad at City Hall Station, which this ad would replace. The signed agreement between the NYC's transit authority and LCA stipulates that the existing ad can be changed. "There is nothing pornographic, inciteful or graphic in any way to be turned down by 'standards and practices' or anything else MTA had decided to impose," said LCA President and Founder Chris DeRose in a letter sent to Carmen Bianco, president of MTA NYC Transit, which was provided to The Dodo. "The MTA has no place blocking an ad about a public safety issue," Nina Hauptman, director of campaigns for LCA, said in a release. 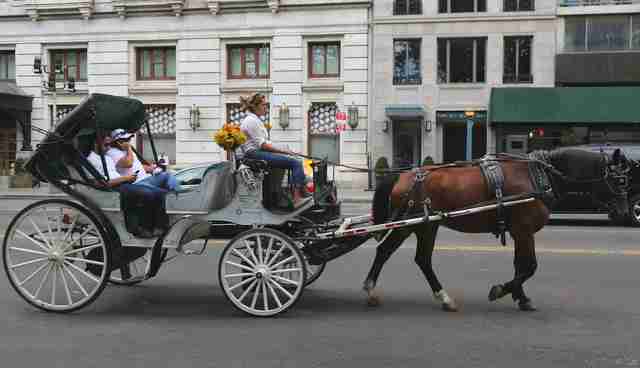 Hopefully carriage horses won't be an issue in New York much longer. In December, New York City Mayor Bill de Blasio introduced legislation to phase out carriage horses by May 2016. The NYC Council is expected to vote on the legislation this summer.Sign the petition to ban this cruel practice in New York City. Hopefully carriage horses won't be an issue in New York much longer. In December, New York City Mayor Bill de Blasio introduced legislation to phase out carriage horses by May 2016. The NYC Council is expected to vote on the legislation this summer. Sign the petition to ban this cruel practice in New York City.